Achieving a perfect green lawn isn’t as easy as regular mowing and fertilizing in the spring. It’s time-consuming, and it can be costly to purchase all the lawn gear and equipment you need to create a professional-looking landscape. 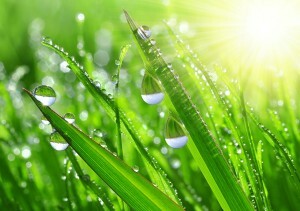 But a great deal of lawn care has to do with knowledge about the specifics of fertilizing, weed eradication, and other important techniques needed to grow and maintain a beautiful landscape. A local company specializing in lawn care in Atlanta can help you achieve the perfect yard. Your yard is an investment in the overall appearance of your home and adds to its overall value. It is the first impression you present to those who see your home, and it’s important to its visual appeal. Additionally, a yard that’s well cared for is key to your comfort and can provide hours of enjoyment for your family. Consider hiring professional lawn and fertilizer services in Atlanta to help you create a healthy, beautiful landscape. Every region in the country has unique environmental characteristics when it comes to growing and maintaining lawns, ornamental gardens, shrubs, and trees. There are a variety of lawn and fertilizer companies in Atlanta, GA, but it’s important to choose an experienced professional lawn service company that understands the climate and other factors affecting lawns in the region. Here are some of the important components of lawn care. Over time, your lawn becomes compacted by foot traffic and natural occurrences such as heavy rains. Built-up grass or lawn thatch prevents air, water, and nutrients from penetrating the roots of the grass. Aeration loosens the compacted ground, allowing for healthier lawn growth, which, in turn, resists weeds, pests, and disease. Aeration should be performed by a professional lawn service in Atlanta using special equipment, so the turf is not damaged in the process. It is generally done in the spring or fall. There are thousands of invasive weed species across the state of Georgia. They are introduced into your yard through a variety of ways, no matter how vigilant you try to be. To eradicate weeds, they must first be properly identified. A professional lawn service can to identify the weed species invader and the extent of damage caused by the invasion, and then safely apply the proper herbicide without causing damage to your lawn. 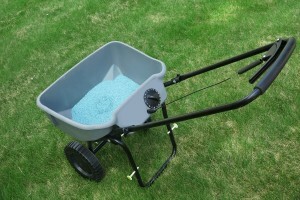 In most cases, fertilizing can be performed before or after an aeration. Fertilizer contains nutrients essential to the healthy growth of your lawn. Following a specific fertilization schedule keeps your lawn healthy through the stress of hot summer days and unexpected, harsh winter weather. Fertilizers contain phosphorus, nitrogen, and potassium, but there are different blends to address deficiencies and specific soil types. A local company specializing in lawn and fertilizer services in Atlanta will have the experience and knowledge to evaluate your lawn and determine the best fertilizer to use. For more information on available lawn services in the Atlanta region, visit our website.